1. Awareness: A state of total attention, in which the mind does not struggle or concentrate, does not organize impressions, analyze, or even think. At complete attention thought does not exist, only absorption of observations. Such a state is true meditation. 2. Thought: Accumulated memories, knowledge, and experience, probably arising from conditioning or past response. It is thought that produces each "me." For awareness to function, thought must be silent and still. 3. Imagination: The preconceived images, opinions, ideas, and judgments that distort our perceptions. These images let one compare oneself to others and create psychological and cultural barriers between oneself and others. As with thought, images end with unconditional observation. 4. Conditioning: The shaping of each person by his or her past experiences and thoughts. The only way to break through conditioning is through awareness and acceptance of "what is" without making choices. 5. Knowledge and Learning: Past thoughts and images, which are unable to bring anything new into being, are knowledge. Learning is an active state defined by doing, made possible through awareness without assumptions. 6. Fear, Memory, Attachment, and Dependence: The pleasures, pains, and bonds of past experience. By continually seeking pleasure, the mind is inviting pain and fear of pleasure's end. Only when thought does not interfere can fear be understood. 7. Conflict: The divisive nature of thought, which results in fragmentation and violence. 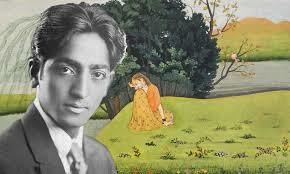 Krishnamurti abhorred all violent response, war, and interpersonal conflict. 8. Relationship: An understanding of the self coming from total unification both physically and psychologically. Thought destroys relationship, salvaged only through awareness. 9. Intelligence: The seeing of what "is." True intelligence has nothing to do with knowledge or thought, but exists only through harmony and the "stillness" of the mind, bringing freedom from thought without conflict and violence. Among other teachings of Krishnamurti, he also taught that systems do not transform people: people transform systems. He believed real change -- revolution -- occurred when people moved from sense perceptions to values unencumbered by outside influences. Peace be with you brother and sister, because if you get what I just wrote, please tell me about it. Sometimes I really think I got it, but then others I feel as if I am just touching the sufice.